The good news is no one was hurt. 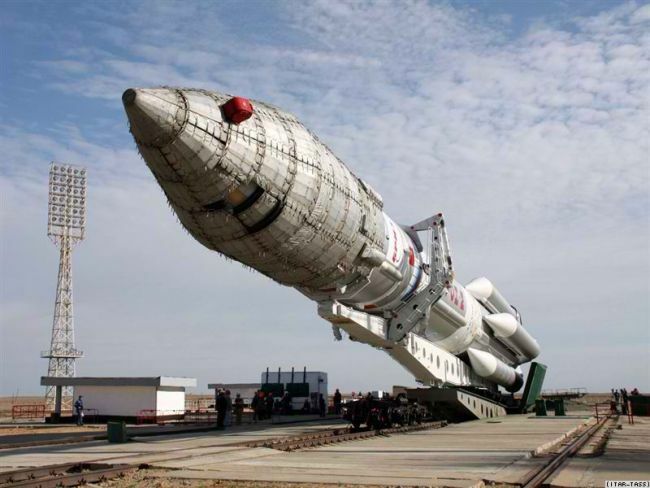 The bad news is Russia’s ambitious Glonass GPS-like program has suffered a major setback. Launching rockets to space is a tricky process and the last 65 years has seen a fair share of catastrophes. Simply put, modern rocket history is strewn with the burnt wreckage of countless failures. The fireworks from such disasters are always awesome (not to mention tragic), resulting in loss of life and much wincing from the governments that pay for the just exploded hardware. No doubt there’s much wincing going on at the Kremlin (President Medvedev has already ordered an investigation) and the crew at the Baikonour Cosmodrome in the aftermath of this disaster. According to news reports published in the last 20 hours, the Protom-M rocket carrying three Glonass satellites failed midway to outer space. For anyone and everyone’s information, Glonass is a navigation system designed by the Soviet military in the 1980s that will allow the Russian government to track pretty much everything in Russia. Come the Sunday launch, problems began to arise soon after lift off, with more than one aerospace expert blaming a programming error that sent the rocket off course, eventually jeopardizing the whole mission. It’s been confirmed the cargo of three satellites crashed in the Pacific Ocean some distance from Hawaii. Despite this major disaster, Russia seems bent on fulfilling its Glonass project for reasons not yet fully understood by the world. Quick, someone play suspenseful background music.